In this article, we will outline the different types of palette and painting knives out there and how you can use them to achieve your own masterpieces. 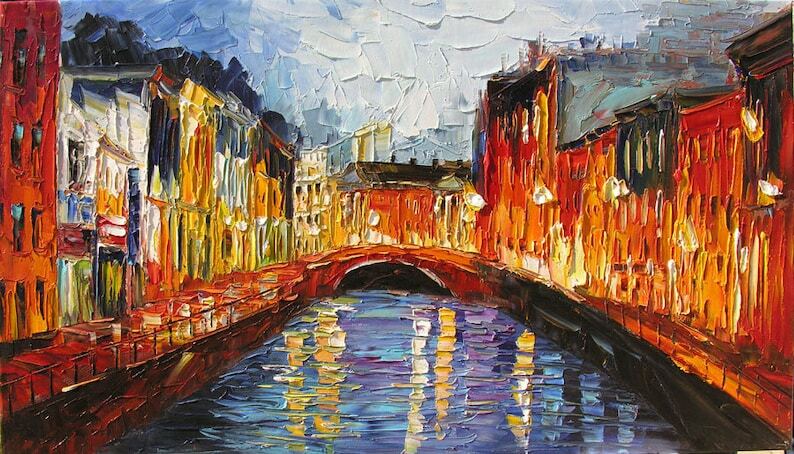 We’re all familiar with brush painting but have you ever tried creating a masterpiece with a palette knife? The humble palette knife is no longer just for colour mixing or cleaning your palettes but is now recognised as an art tool in its own right and can produce some spectacular results. 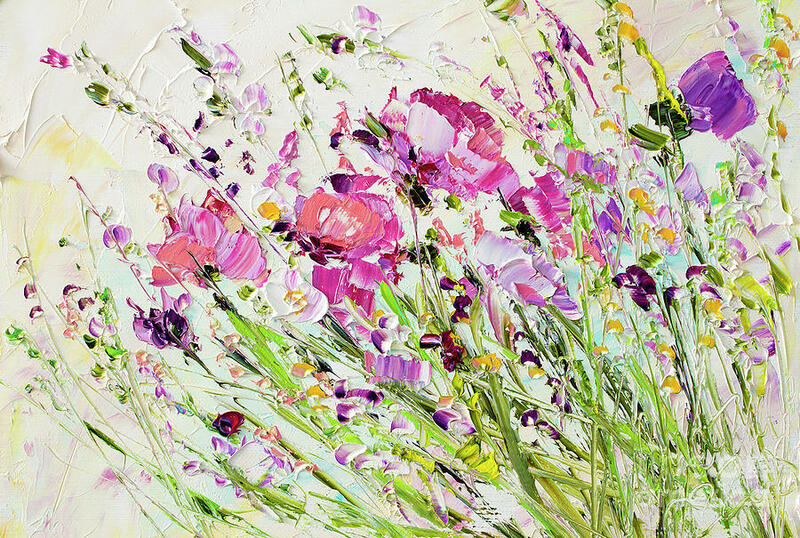 Palette knife painting gives you the ability to gently layer paint without mixing or changing colour whilst maintaining the deep creaminess and true characteristics of the paint. 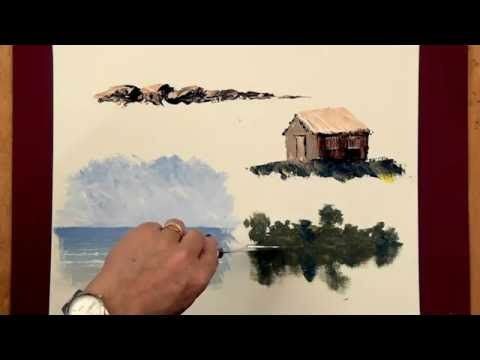 Use on its own to create a whole piece or in mixed media pieces with other painting techniques such as brushes. Effects can depend on: the size & shape of your knife, the angle you hold it, the amount of paint you use and the way you pull/push it on the surface. 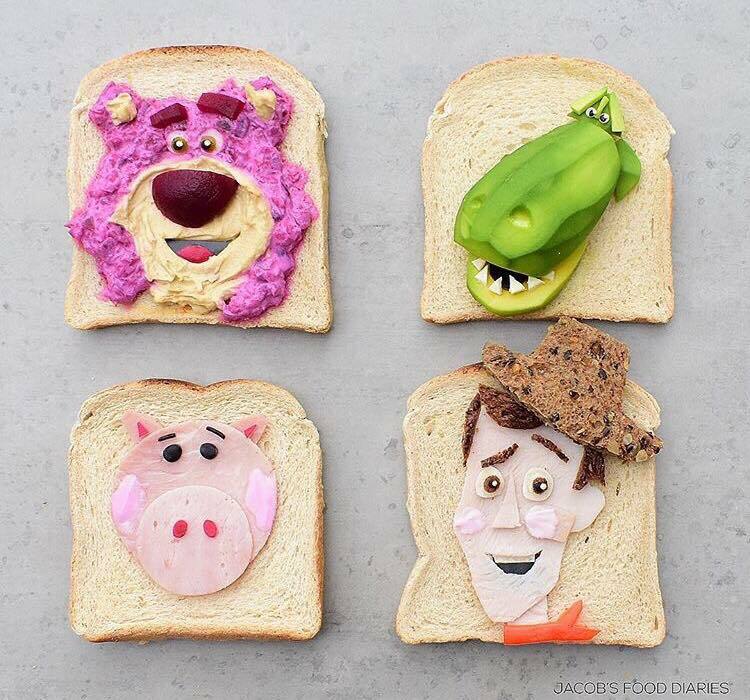 This all may sound a little daunting but trust us it’s as easy as buttering your morning toast – though some would consider that an art form in itself. Images courtesy of @jacobs_food_diaries - check them out on Instagram! 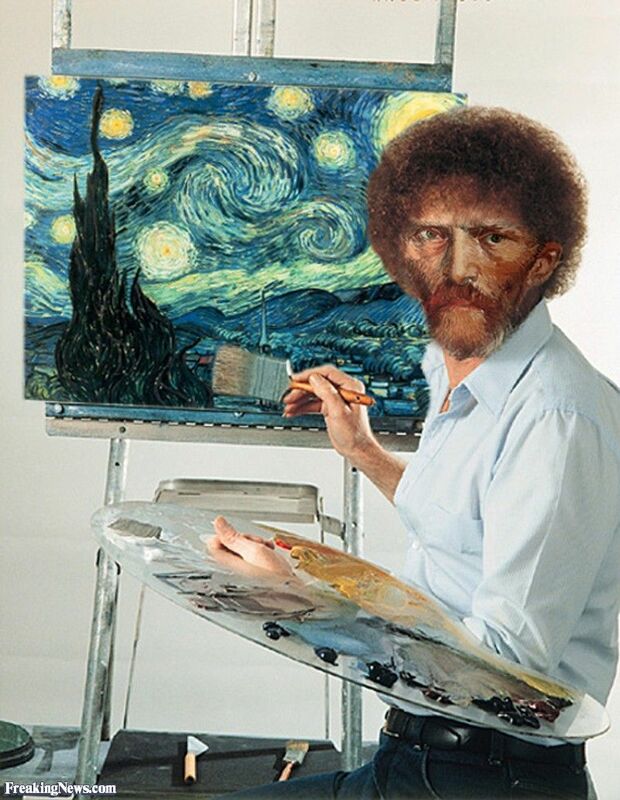 From Van Gogh to Bob Ross, bold three-dimensional impasto works to more refined, detailed ones; there are a range of different techniques and knives to suit your painting. From rectangular to round, painting knife to palette knife, big to small it can be difficult to decipher which is best for you. Not sure where to start? Let us break it down for you. First up, our Art Spectrum Painting Knife 1000. 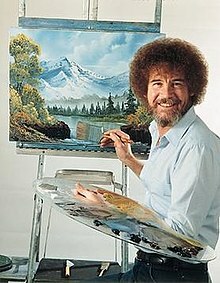 One of the most popular among palette knife painters including art-tutorial-guru, Bob Ross. This knife has a flat smooth surface that fans out into a wedge shape with three distinct edges: long, short and one a little in between at the back. The different sized edges of this particular knife making it a great all-rounder if you’re looking to pick just one. Create a beautiful floral piece making large flowers with the long edge and smaller ones with the medium, then add in your highlights and detail with the shorter side and points of the knife. The flat, sharp edges of this knife also lend themselves to painting things like city scapes and buildings. Our next knife brings a little symmetrical harmony. The Art Spectrum 1007 contains a perfectly rectangle top edge that tappers down into a triangular-shaped bottom allowing for movement and flexibility. 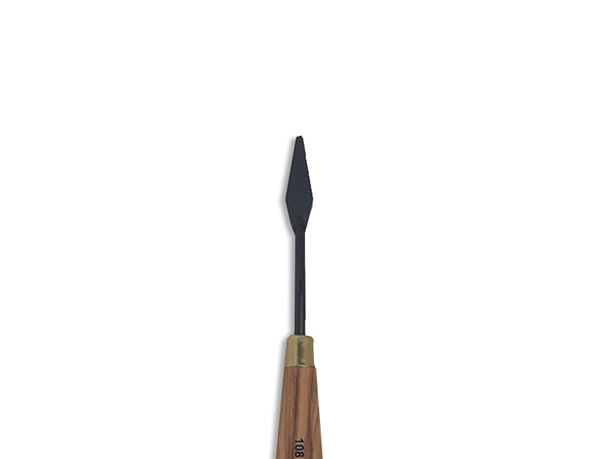 It is also attached to an offset handle to avoid your knuckles scraping the surface whilst you paint. The straight edges are great for creating vertical or horizontal lines and the flat of the knife can create instant rectangular shapes but pressing it into paint and straight onto your canvas. 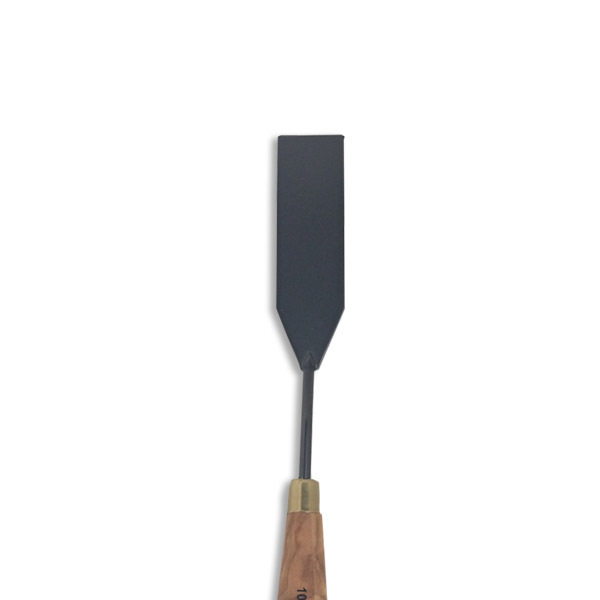 The Art Spectrum 1005 is a similar rectangular shape with an offset cranked handle to that of the 1007 however, with a unique detailed edge. The top edge of the knife contains small zig zag-like ridges for creating texture in your works. Apply your paint with the flat of the knife and create lines and texture by dragging the flat top edge along. The straight sides are also great for creating horizontal and vertical lines. This detail can be useful when painting things such as a field when you want to create the look of crops or lines of trees or can mimic the texture and look of hair in a portrait piece. Our next knife, the Art Spectrum 1080 is rounding things out a little more. 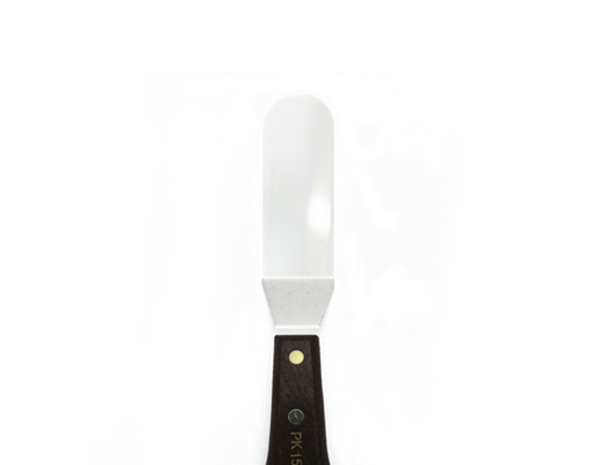 This knife is a stadium oval shape again featuring an offset handle for convenience and comfort. The rounded edges of this knife are great for creating movement and flow in your pieces and the wide surface area of the flat of the knife enables you to apply large amounts of paint easily. This shape can also be great for simply dabbing spots of pigment onto your canvas and building layers. 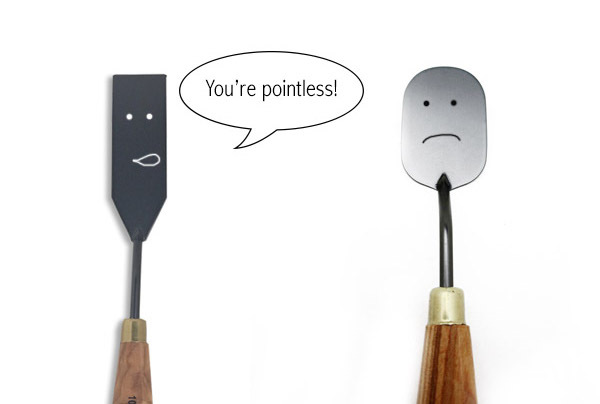 This knife may be pointless in shape but it’s place in your kit certainly isn’t! Next up, The Art Spectrum 1028 teardrop-shaped knife. 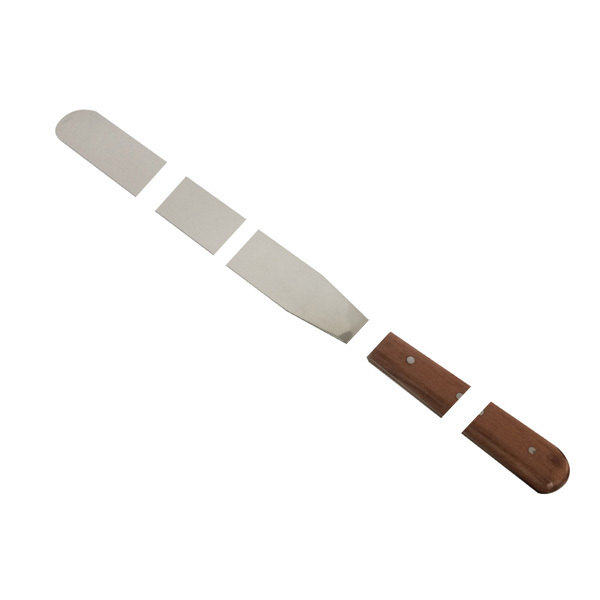 This smooth and flat-surfaced knife is excellent for smoothing out your backgrounds and laying your paint on thickly to create impasto techniques. Impasto is a painting style in which paint is laid on canvas in thick layers creating an almost three-dimensional effect. 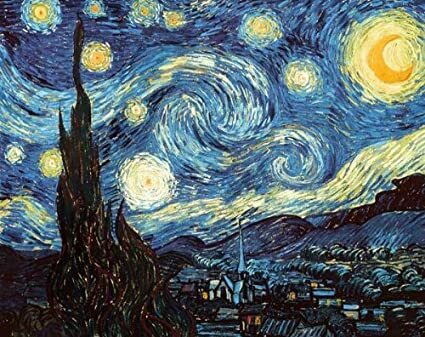 Take Van Gogh's very famous 'Starry Night' for example. Use the flat of the knife to smooth and the crisp edges for creating texture and movement. Small knives like our pint-sized Art Spectrum 1081 are great for adding finer details and textures. This one is a small diamond-shaped knife with a cranked offset handle. The crisp straight edge of the knife makes cleanly picking up paint a breeze and the flat surface lays it back down smoothly and evening. Use on its side for creating lines or on its flat for smoothing paint out and making texture and movement. 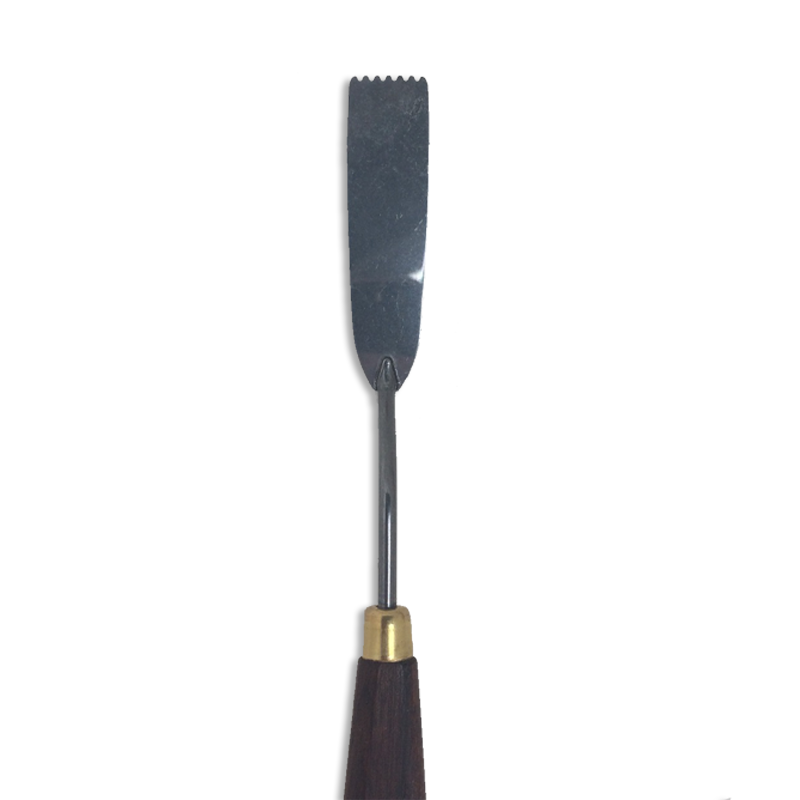 This size knife is great for creating refined detail in portraits or distant subjects in landscape pieces. Back to the straighter side of things with our Art Spectrum 1111 knife. This knife blade features two long straight sides with a tilted angled top. The long, thin edge is great used on its side for painting things like waves or lines of trees in the distance. The angled top could also be used for creating tilted line work such as a roof on a cabin or a house. The sharp point of the knife can be used for techniques like sgraffito by gently scraping paint from the surface of the board to expose some underpainting creating highlights and shape. With a mix of a little bit of everything the Art Spectrum 1008 is a great all-rounder. This knife features an offset cranked handle that curves out to a pointed angled top. It contains two rounded edges on the sides, one straight edge and a fine point at the very top. Run the edge of the knife along your surface following the curve to create arc and bowed lines or the straight angle for straight edges. Also use the straight edge of the knife for techniques like scrumbling. Scrumbling is a technique used to blend subject in your images seamlessly by pulling paint from one to the other down or up. 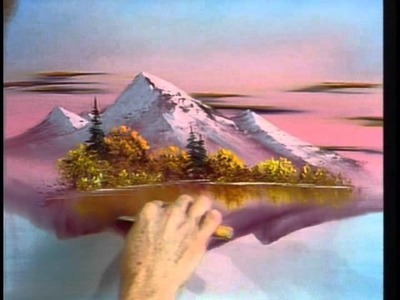 For example: gently pulling paint from the sky down into the trees or trees into a body of water for a smooth transition or vice versa. Last but certainly not least of our top painting/palette knife picks is the classic Art Spectrum Creative Painting Knife #15. 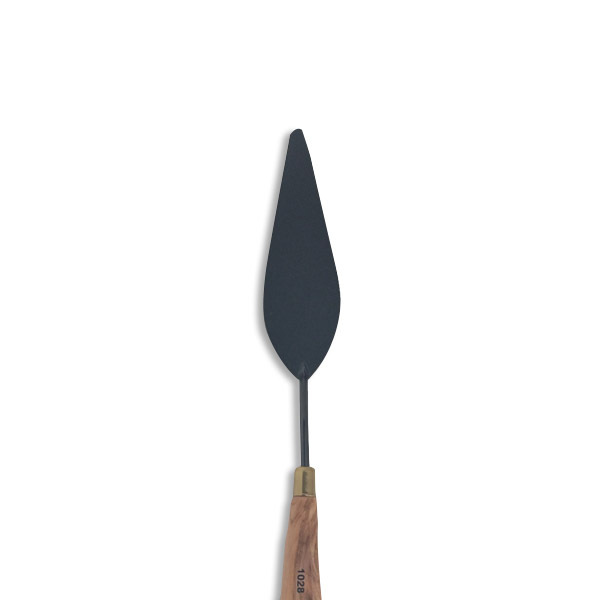 This blade is your traditional palette knife shape featuring slightly ellipse edges two uniform straight sides and a cranked handle. This knife is a little on the large side than others so is great for laying background paint down and creating smooth, even surfaces. It can be used on its flat to smooth things out or on its side for line work like painting a fence in a meadow or tree trunks in a forest. 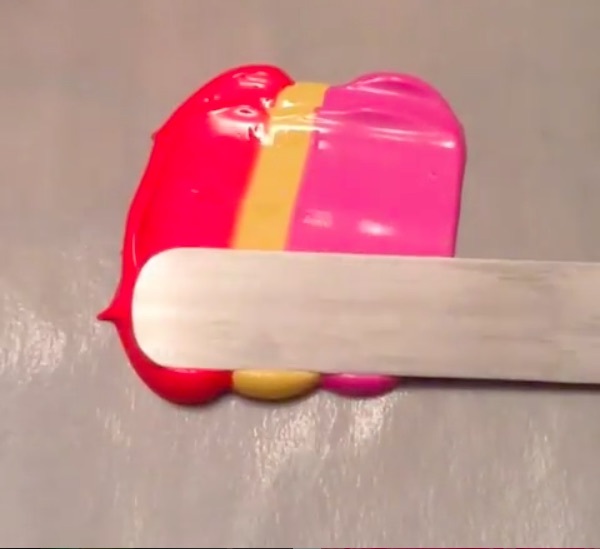 Create an easy effective gradient by blobbing paint in various shades and colours in a row and smoothing out in one swift movement with the flat of the knife. Great for creating a sunset or waterscape. As we’ve mentioned palette knives can be excellent for creating thick layers of paint and impasto techniques. To best achieve the thick three-dimensional look we recommend choosing an oil paint like the Art Spectrum Oil Paints or if you prefer to stick to acrylic the Liquitex Heavy Body Acrylic Paint range also works well. To create even more density in your paint for the impasto look you can add a medium such as the Winsor and Newton Impasto Oil Medium. For background painting and general works the Mont Marte Studio Paint range will achieve great results as well as the Mont Marte Dimension or a little more hold and workability. Whether you lift it, scrape it or spread it, painting with a palette knife can be easy and best of all fun. By hopefully picking up a few tips and techniques here you can be on your way to creating your own impasto Starry Night or impressionistic Sunflowers. So, put down the brushes for a bit and step outside your comfort zone with a painting knife. If you’re not sure which to pick, start yourself off with some sets like the Mont Marte Palette Knife Wallet Set or Mont Marte Studio Series Palette Knife Set containing a few different shapes and sizes to get you started. As always art is about enjoyment so get experimenting and have some fun with it. If you create anything from our blog tutorials don’t forget to upload photos of your masterpieces to social media and tag us, we love seeing what you guys create. If you have any topics you’d like to learn more about drop us a line with some blog suggestion. Plus, don’t forget you can watch video tutorials on our YouTube channel https://www.youtube.com/user/artshedonline. Happy creating! Such interesting information and its Free Thanks Tom another reason to shop at Art Shed .